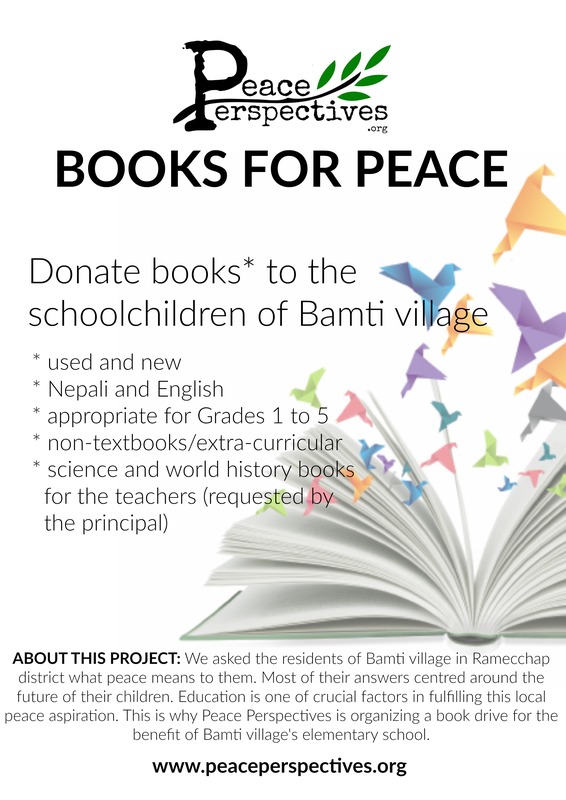 We take this opportunity to thank those who supported our book drive for the students of Bamti Bhanda Primary School in Nepal. On December 11, 2017, the Peace Perspectives team delivered the books to the school, and the students were very excited browsing the titles and pages of the books. Your donation enabled us to work with the local community in equipping the students with essential books that we hope will encourage them to pursue their education and have a positive impact on their lives. We also extend our gratitude to Mr. Min Bhahadur Karki, the principal of Bamti Bhanda Primary School, for guiding us throughout the process—from identifying the subjects of the books, hiring members of the local community to construct the bookshelves, until the inauguration of the school’s library. We will continue to partner with local actors as it is imperative in ensuring ownership and sustainability for the projects being implemented in their communities. The Academic Council on the United Nations System (ACUNS) interviewed our co-founder and Executive Director about Peace Perspectives, in addition to her PhD research and recent publication. The following is an excerpt from the ACUNS website. In this Professional Development podcast, the 2015 Dissertation Award Winner, Dahlia Simangan, is joined by ACUNS Book Review Editor, Anastasia Ufimtseva, to discuss Dahlia’s experiences as a PhD student and her current work as a founder of Peace Perspectives. Dahlia won the Dissertation Award for her work on “The Limits of Liberal Peacebuilding and Pitfalls of Local Involvement: Cambodia, Kosovo, and Timor-Leste in Retrospect”. Considering the merits and pitfalls of both ‘top-down’ and ‘bottom-up’ approaches, Dahlia proposes a middle ground that finds a balance between liberal peacebuilding and local involvement. Since completing her dissertation, Dahlia has been dedicating her time to Peace Perspectives, “an independent, non-profit international organization committed to the promotion of inclusive and lasting peace.” Founded in March 2017 and based in Nepal, the organization operates on the principle that every local peace perspective deserves equal consideration, and promotes small-scale community outreach. The podcast is available here and the discussion about Peace Perspectives starts at 18:40. We are happy to share some of the photos of our volunteer models, Pragya and Robin, wearing our official Peace Perspectives t-shirt and taken by our Public Relations Officer, Sudeep. These are the t-shirts donors will receive when they donate US$101 or more and those who bought tickets for our launch/first charity event. 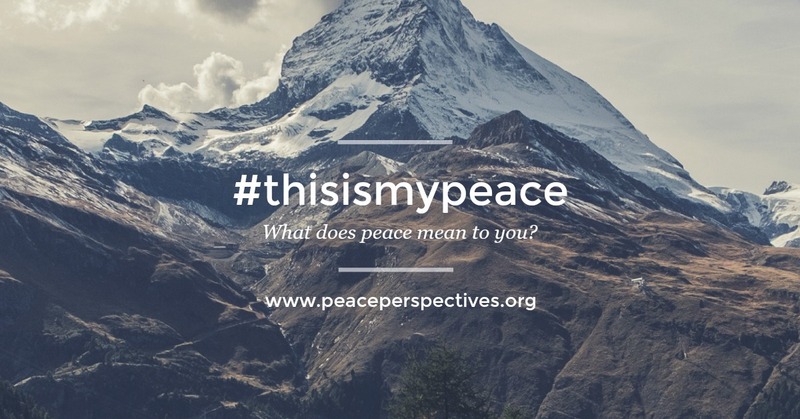 In line with our upcoming launch event on May 6, 2017, Peace Perspectives is starting a global peace conversation using #thisismyPEACE. With conflicts and humanitarian crises that we are witnessing around the world right now, this is our simple contribution to peace promotion. You can join this global peace conversation through any or all of the following. Take a photo of yourself holding #thisismyPEACE sign and include a 1-2 sentence caption of what does peace mean to you. You can download this sign and print or create your own. Take a photo the depicts your peace perspective and include a 1-2 sentence photo description. Take a video of yourself explaining what does peace mean to you. We request that your videos do not take longer than a minute. 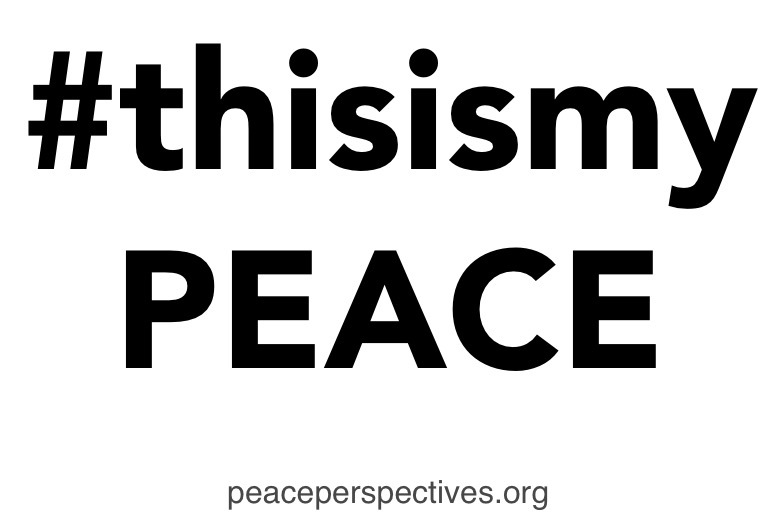 We invite you to share your peace perspective via Instagram, Facebook, and/or Twitter. 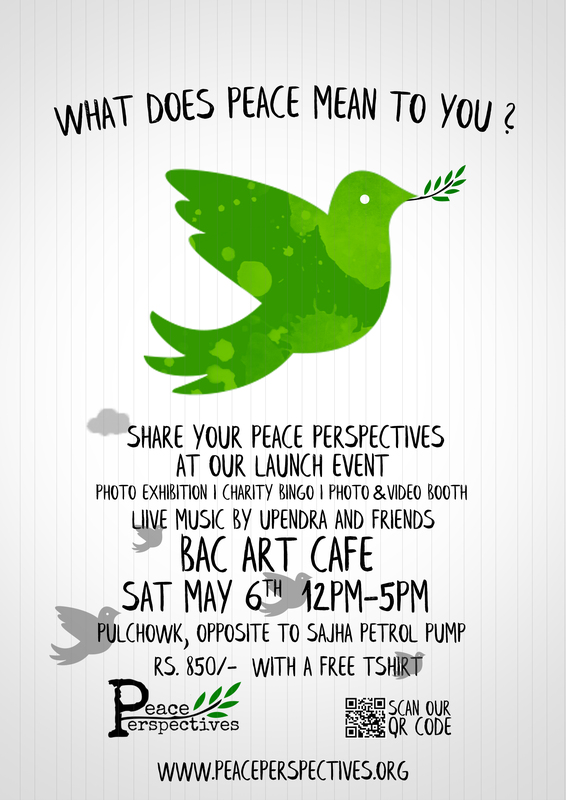 We also invite you to tap at least two of your friends to share their peace perspectives for us to engage as many people as possible and promote diversity in peace.